31 Jan Do you watch the Super Bowl for the football or the advertising? Super Bowl Sunday is just about here, and the Lombardi trophy is up for grabs between the New England Patriots and the Los Angeles Rams. Over the years the Super Bowl has had a huge increase in viewership. According to statistica.com, in 1990 there were 73.85 million people who tuned into the big game and in 2015 there were 114.4 million viewers (holding record). How many of those people do you think tune into the Super Bowl just to watch the advertisements during commercial breaks? A Super Bowl ad this year will cost companies roughly $5 million for a 30-second ad which is around $160,000 per second. Clearly, not just any company has the means to be able to advertise during the game. Therefore, you see the large nation-wide corporations such as Anheuser-Busch, Pepsi, Coke, Doritos, Audi, Amazon, etc. Companies find the Super Bowl as a prime time to advertise due to the amount of people that will be watching the game. 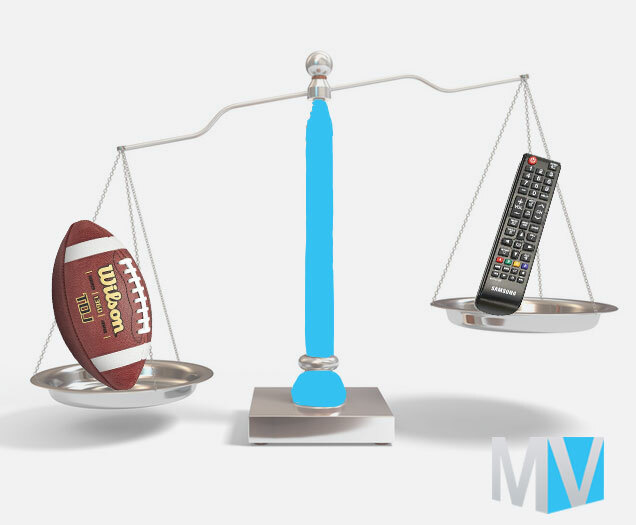 The Super Bowl is the most-watched television sporting event to take place in the United States so companies know there will be millions of people watching therefore, they take the opportunity to get in front of all those people at once. Super Bowl ads have become popular for their creativity that emotionally touch the viewer. The Super Bowl is the perfect opportunity for companies to roll out their latest and greatest ad that will get people talking. Commercials are a main reason that a lot of people look forward to the game. According to a study conducted by the Huffingtonpost.com, 18-30-year-olds preferred the advertisements over the game. The older demographic still prefers the game over all the additional activities such as the ads and the halftime show. In changing times, the younger demographic tends to get excited more about the entertainment portion of the game and not so much the competition and rivalry that is partaking in between the lines of the field. Football has had recent controversary within the last year with the safety concern of these athletes and the concern of concussion injuries. Potentially a reason the younger generation isn’t as interested in the game is because football is not as popular, and parents are steering their kids away from the sport in part of the safety concerns. The reasons these young adults are intrigued by the entertainment portion of the game is mostly because of todays society and how important social image has become. Being in the know of what is trending and what brands are doing in part of their marketing efforts is more interesting. What makes the Super Bowl ads so special and unique? Marketers for these companies are focusing on emotional branding. Emotional branding is defined as executing a marketing practice that appeal directly to a consumer’s emotional state, needs and aspirations. Their goal is to touch the viewer in some way emotionally so that the message and brand sticks with them. A successful commercial would be one you talk about on the Monday after the Super Bowl with your co-workers and family. Social media is so powerful today that a great commercial can go viral in seconds! People log onto Twitter and Facebook immediately following a great ad to give their opinion and chime in on what’s trending. Over the years there are specific commercials people just can’t forget. Here are a few examples of some of the greatest and most well-known Super Bowl commercials. The list could go on and on of all the great advertisements we’ve seen over the years. Each commercial has its own emotional touch to it. The great thing about these emotional branding techniques is that most people can relate to it in some way or another which is why so many people continue to talk about these commercials even after the game, just as we are talking about them now. Marketing is all about creativity, determining ways to get in front of the consumer you are looking for and creating a message that will stick in their mind. It’s the biggest challenge for all marketers, however it’s the best part about the industry. Every day, ads start trending, or an ad makes headlines due to its content, whether it is a controversial issue or brings an issue into a different light that get people talking. Usually, people tend to look at their phone, run to the restroom or grab a quick snack during commercial breaks, but that is not the case on Super Bowl Sunday. The Super Bowl obviously attracts the football fans who love the game itself, but it also attracts people who either don’t care or don’t know much about the sport, due to all the entertainment elements that are involved throughout. Whether it’s the game, the advertisements, or the halftime show, just about everyone can find a reason to tune in on Sunday evening. Food for thought: Why do advertisements have to only be appreciated during one Sunday of the year? Advertising never stops, so if consumers paid closer attention to detail there could be a greater appreciation for the industry year-round and not just one day. These ‘great’ commercials are rolled out year-round and not just saved for Super Bowl Sunday. There are so many techniques that can be utilized to get a message out to consumers, it’s all about execution. Marketing is every bit of strategy, creativity, and execution, so we applaud the marketing teams that were involved with the Super Bowl commercials and every other advertisement in between throughout the year. We understand the hard work that goes into it, need help with your marketing? Call the professionals at Media Venue. Call us at 502-855-4783. Marketing strategy is the step by step procedure one takes to promote a company’s product and/or service. In order to create a successful marketing strategy, first you must analyze where your business currently stands regarding marketing. In other words, analyzing past marketing strategies and determine what worked and what didn’t. Then you must determine the goals your company is looking to achieve. Then figure out what type of audience you would like to target. Finally, your team will sit down and hash out exactly what tactics need to be put in place for the goals to be attained. Budgets will need to be in place and then you’ll be able to start finalizing a marketing plan. What should I include in a marketing plan? A marketing plan should include total budget, goals, target market, market research, SWOT analysis, positioning (what sets you apart from competitors) and overall strategy. Digital marketing is the marketing of a service or product using technology such as display advertising, search engine optimization, content development, paid search, reputation management, email campaigns, or social media planning. There are a variety of social media strategies that can be beneficial. Social media marketing strategy consists of things like personalizing experience for the customer, utilizing chatbots, create a community for your followers, keep content diverse, use brand advocates, go live to tell a story, and form a solid social media budget to run campaigns. Picking one or two of these strategies and sticking with it could create great change in your social appearance. How to increase video content? Video content has become a huge component of social media. Today we are seeing more and more videos that are getting messages across to the consumer. Why? Videos are visually appealing, can hold the attention of a viewer for longer and get the message across fast & efficiently. Utilizing video content can easily take your social media and/or website to the next level. Local marketing agency near me? Media Venue is a full-service media agency here in the Louisville area. In traditional marketing we provide our clients with personalized strategy and planning, media negotiations, and result monitoring. We provide digital marketing services such as display advertising, search engine optimization, content development, paid search, reputation management, email campaigns, social media planning. Contact us at 502-855-4783 or email Weaks McKinney-Smith at weaks@mediavenue.com.